Matthew Glen Moribe, 39, of Honolulu was lost at sea on March 17, 2019. Matthew was an avid fisherman who loved being on the ocean. Matthew worked as one of the Operations Manager at Aala Meat Market, Inc., Technician at the Pearlridge Monorail Operations Center and recently retired as a Technical Sergeant Integrated Avionics Craftsman in the 154th Maintenance Squadron of the Hawaii Air National Guard. Matthew served several tours of duty overseas and was awarded the Global War on Terrorism Service Medal, Air Force Outstanding Unit Award, Air Force Reserve Forces Meritorious Service Medal, Armed Forces Reserve Medal and the National Defense Service Medal for his more than 20 years of service with the Hawaii Air National Guard. He is survived by his wife, Dr. Cherie Uchida-Moribe; parents, Glen and Sandy Moribe; brother, Jonathan Moribe; brother-in-law, Nathan Wharton, paternal grandfather, Ray Moribe and maternal grandmother, Amy Chong. 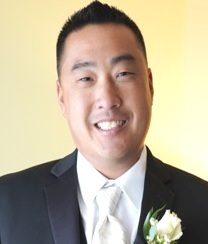 Visitation from 5:30 pm and a program to honor the life of Matthew Moribe will begin at 6:30 pm on Saturday, April 27, 2019 at Saint Andrew’s Cathedral, 229 Queen Emma Square, Honolulu.